From the moment you enter, tones of old world yellows, stone fireplaces, wrought iron cellar gates and sconces, soft candlelight, coves with upholstered sofa seating and friendly staff, it's an undeniable inviting space, nothing short of extraordinary. Two special occasion tables with antique throne chairs and live piano music add to the intimacy. Two romantic dining rooms cater to an elegant crowd, while the long narrow bar gathers a friendly and fun bunch nightly. The cuisine truly upholds the name of Fine Portuguese/Spanish Dining, seafood and fish, organic meats, the freshest ingredients and to maintain the tradition, huge portions are to be expected. The menu is seasonal and in addition to a varied selection of delectable dishes to satisfy any palette, daily specials are always featured. The wine list with over 180 selections is an ambitious one that keeps growing, but sure not to disappoint the discriminating connoisseur. Everything was perfect and priced well! Perfect date night! Though wasn't welcoming initially, the manager warmed up later realizing that we weren't just any person. His attitude changed for the better afterwards. If I hadn't made reservation before going, I would have been turned away judging from the way I was received. The food was superb. I will definitely go back again. The service was great from the hostess to the servers. The food was amazing! Extremely romantic ambience and grest food. Wil definitely be going again. Initially shared sangria at the bar. Girls behind the bar were friendly, attentive, and frankly stunning. Drinks were good too. Once in the dining room we ordered several apps, entree and desserts, all of which were delicious. Our waiters were great. They did hover, but were always there at the right moments. We were very pleased with everything. Great service. Great food. Best sangria, shrimp & garlic down neck. It is pricey but worth it. Good restaurant food was excellent service was top notch only notch was that some of the meat was under cooked but was quickly remedied. Would def go back. Pre show dining. Our waiter Luis was beyond terrific! Very kind and attentive! Ordered cod dish which was delicious however we felt it didn’t need bacon as a garnish! Cod is sufficiently salty. We really like this place and hope to return again. Good restaurant very big portions Paella was amazing. 3rd time eating here. The food is great! Very large portions of quality food. Prices are very reasonable. This is our go-to place before concerts at The Rock. Free parking 1/2 a block away. The manager that is on duty on Sundays is far more worse than the one that is on Saturdays. He does not welcome people, did not provide us the right table and even when we suggested another one (that was close to the fireside) he told us that it was already booked... when we left at 3:30pm the table was still available and no one has been there. We have only been there on weekends and most of the times on Saturdays. A totally different manager - knows how to welcome, listens and recommends, a totally different (for much better) than the one we had last time. The food is very good and the servants are really great - they really go the extra mile to serve you. Restaurant was busy and loud. But the server was attentive and helpful. 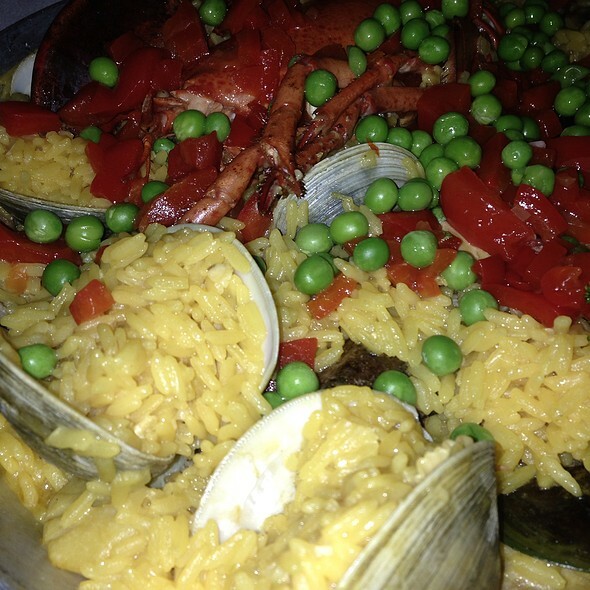 We had a delicious Valencia paella and my family had filet mignon. Fantastic food & staff. 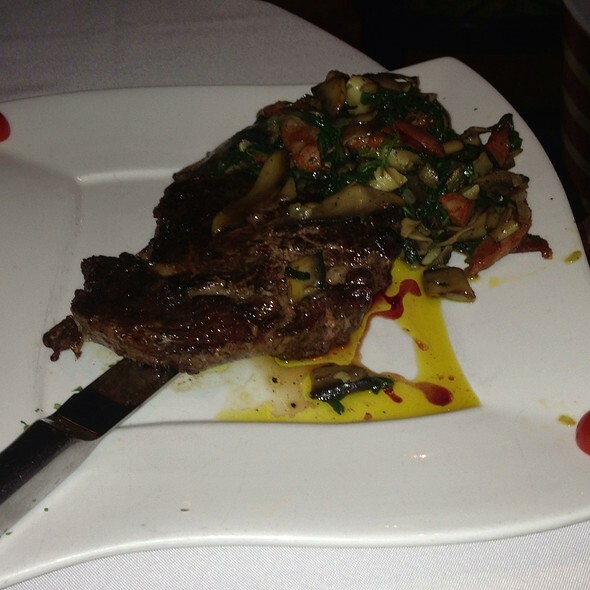 Great dining spot just short walk from Newark Penn station & the Prudential Center. Louis, our server was so patient and with great, fun attitude. With six women at the table, ordering can get crazy. Louis helped us choose the best entrees and the right amount of food for us! We had a great time at Adega Grill and got to the concert right on time! 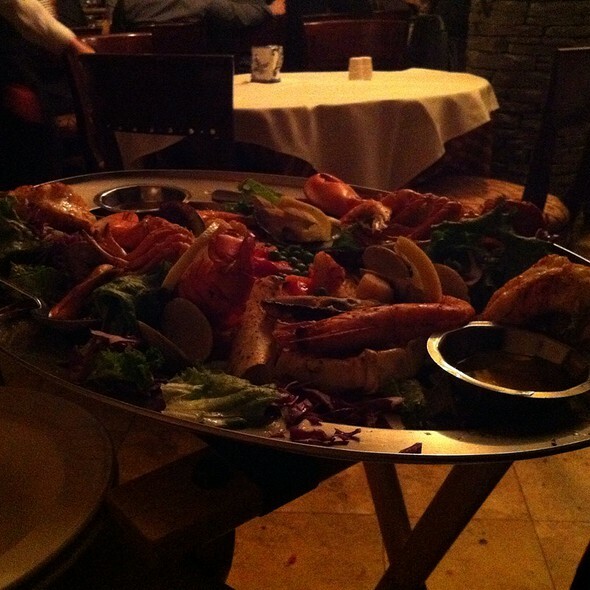 The clams casino & stuffed salmon were delicious & fresh. Get together with hHigh School friend. 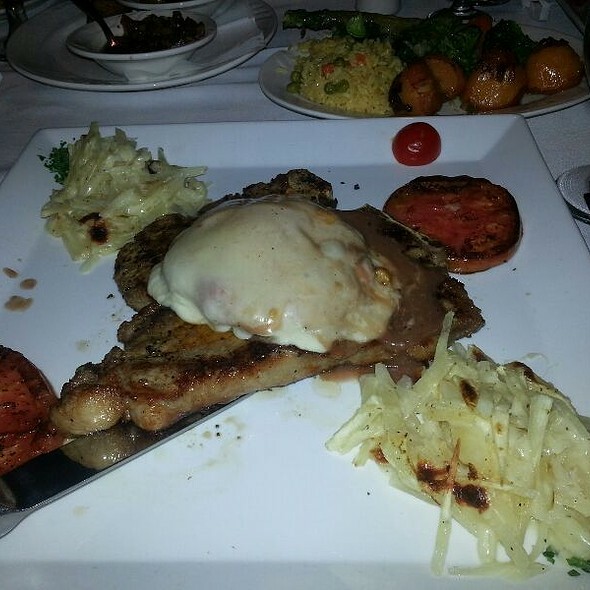 Adega Grill never disappoints. Love everything about it! The waiter was not friendly at all. He didn’t allow the bus boys to answer any of our questions. He lacked professionalism & ability to effectively communicate the differences of all foods. Overall not a place I would recommend to my colleagues based on service. 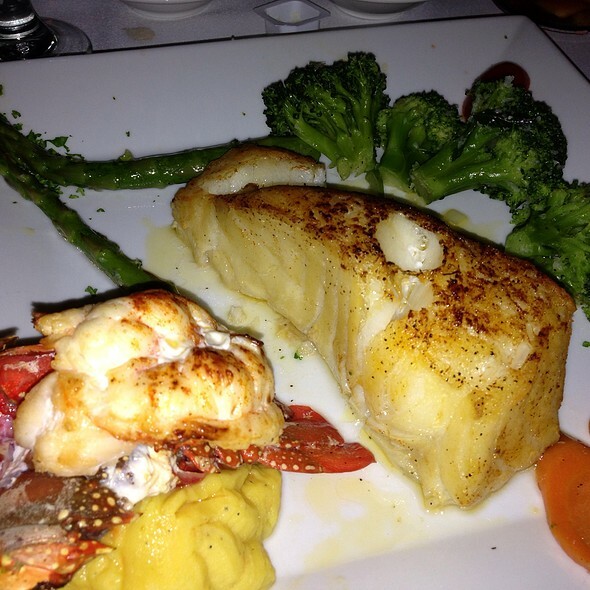 Although the service was good, the lobster tails were overcooked , dry and tasteless. I guess I should have ordered something else. Generally , the entree's were interesting , but overpriced . The wine was very nice , but not worth $60.00 . The decor and ambiance are very nice and the fireplace added to the warm comfortable feeling . As we were the only people left in the place at 10pm, the staff made us feel like we were not that welcome by turning off the fireplace and turning on all the lights before we were done eating . They made it very clear that they wanted us to leave . My forth time going to Adega! Absolutely delicious! And excellent service. I will be back! Everything was great. The host was very accommodating. Great place, awesome food, great service! Would definitely recommend. 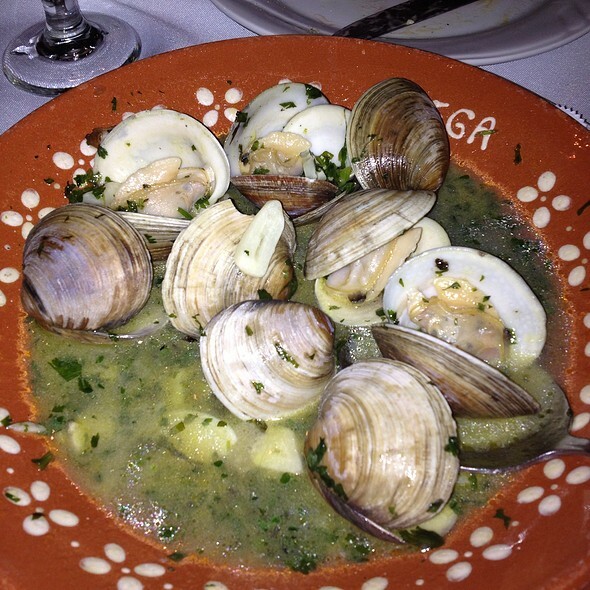 The best Portuguese restaurant in Newark, with fantastic food and nice staff. The wine list is very complete, with Portuguese wines, but also Americans and Argentinians, and with reasonable prices. 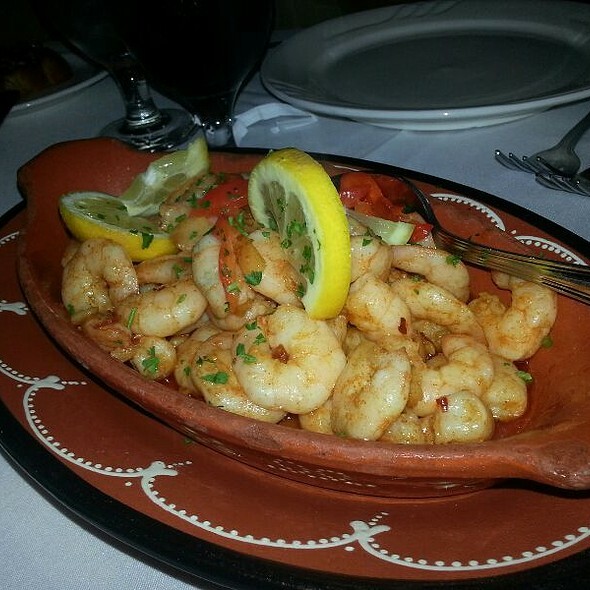 We always have a good time there and as Portuguese I really recommend this restaurant. Food was extremely expensive which I dont mind if it's worth it....it wasnt worth it. I am a foodie and love to experience different dishes at any cost. By the conclusion of this night I would have had better ordering taco bell via grubhub . A 50$ entree with steaks that was way over cooked and a dry lobster. Another entree ,a Porter house steak with a blob of mushy portabella drowned in mozzarella. Everything lacked seasoning ,texture and taste, mixed veggies that made no sense: a bowl of brocolli, califlower,mixed vegetables and random chopped asparagus with a sad side of mushy potatoes euhhhh...to start no parking,bad appetizers, and weak sangria garnished with a staff that's never notices you,I guess bc I wasnt Spanish. The sole purpose I went there was for the """great" food and the hookah lounge ,they failed to mention that they were under renovations and closed down their lounge ,when I was making reservations for my special evening. Needless to say ,this 215$ encounter was one to regret. Never again!!! The ambiance, Sangria and service were the best things about it. Maybe it was the menu choices for Valentine's day. Not the normal menu. The food was just ok, not what I expected. I was disappointed. 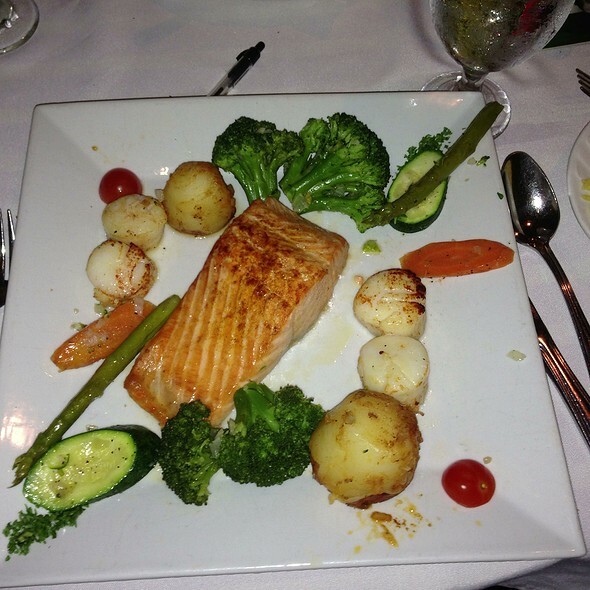 The food was delicious and the service was great. First time there and will not be the last! 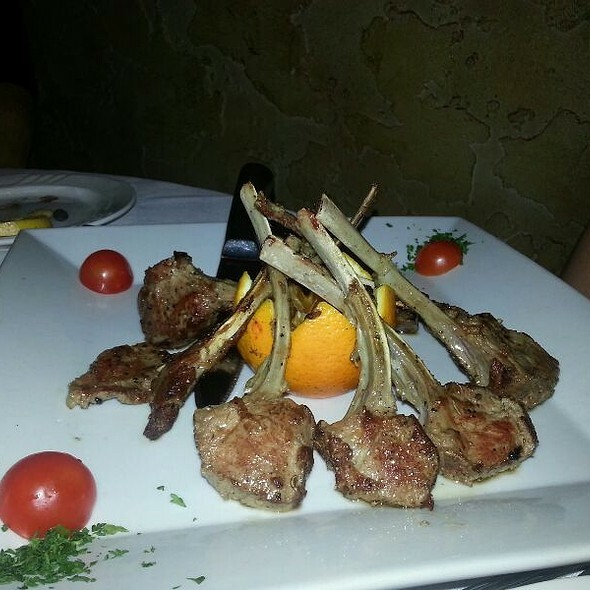 Everything was tasty, service was very accommodating. Free parking too. We were seeing a show at the NJPAC and this restaurant was also very convenient to get there. Sangria was yummy! Delicious starters, followed by superb rib eye for guys, prawns with a wonderful sauce for me. Service excellent, nice to have a team waiting on you. We’ll be back! Great food. A little pricey though. Nice waiters! My boyfriend and I were celebrating the beginning of our vacation as were flying to Costa Rica the next morning. Upon his return from the restroom, an older waiter spoke to him about the lovely waitresses in the bar area and told him he should return alone at a later date. That ruined the nice meal for me and I made a little scene to let the waiter know that I overheard the conversation and I did not appreciate what he said. I was highly insulted by his rudeness.